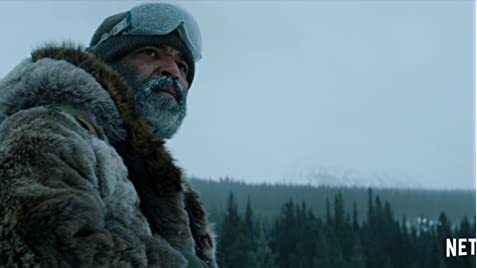 The basic premise of Jeremy Saulnier's adaptation of Hold the Dark takes place in Alaska where wolf expert Russell Core has arrived to investigate the disappearance of a child claimed by his mother to have been taken from the very animal Core studies. From there Core discovers that the wolves may be the least of his concern. The film is interesting through its dark atmospheric tone and gorgeous yet haunting cinematography of the wild landscape. As with any other of his, the violence is very sudden and brutal. It sneaks up behind you and leaves you in gasp from the site of it. While the body count is way higher and on a much bigger canvas, it lacks the self-contained momentum of Green Room and Blue Ruin. The pacing felt very inconsistent at times especially as it seems it never quiet matches the shocking shootout scene that happens in the middle act. Both Jeffrey Wright and Alexander Skarsgard get to show great character work in their performances. Wright shows Core as a man whom is sympathetic towards wolves as he sees their behaviour isn't intentionally evil but is disturbed and often times terrified of what horrifying acts human beings themselves do throughout the story. And Skarsgard as the missing boy's veteran father Vernon brings an intensity and intimidating presence while still conveying there is still a little bit of humanity left in him to understand his motivations. While the characters are certainly compelling, the vaguely defined supernatural element makes the story's direction feel too plot heavy and less compelling. The story is very much an exploration of how human behaviour can be more vicious then nature itself. While the conclusion makes sense thematically, it can feel anti-climatic depending on how much you are invested in the themes. 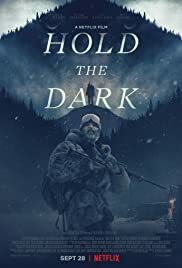 Hold the Dark I wouldn't call a disappointment but does not live up to the quality of his past films. It still has some really good scenes that are still worth watching. 148 of 241 people found this review helpful. Was this review helpful to you?